experience: we have years of experience managing retail, office and industrial properties in the outer boroughs of new york city and long island. we currently have over one million square feet of prime commercial space under management. top-tier properties: our portfolio includes properties occupied by tenants such as wal-mart, cvs/pharmacy, the united states government, home depot, fedex, eckerd pharmacy, ford motors, blockbuster video, and many other national and local businesses. 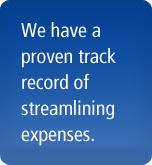 cost control: we have a proven track record of streamlining expenses. we’re able to obtain optimal terms for service contracts ranging from boiler replacement to snow removal. brokerage: our brokerage office works in conjunction with our property management division to match you up with the most profitable uses/tenants for your property and ensure quicker lease-up times. reporting: we utilize yardi® property management software, an industry standard, which allows for sophisticated expense tracking and statement reconciliations, as well as flexible and customizable client reporting. we handle all the paperwork so you don’t have to.